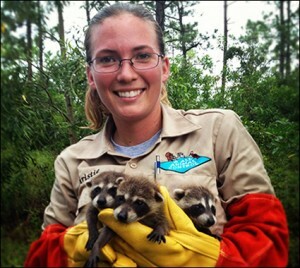 Greensboro’s most gentle and complete wildlife service! A All Animal Control, a Nuisance Wildlife Management company is a leader in providing wildlife, animal and pest control services for residential, industrial and commercial clients in Greensboro and surrounding communities. 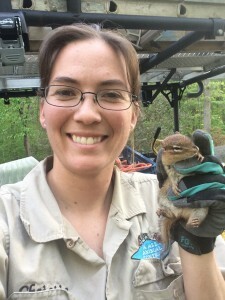 A All Animal Control of Greensboro is your local wildlife expert and are commonly called upon for control and removal of Alligators, Armadillos, Bats, Birds, Beaver, Coyotes, Chimney Swifts, Chipmunks, Cowbirds, Deer, Feral Hog, Feral Pig, Flying Squirrels, Fox, Geese, Groundhogs, Mice, Moles, Muskrat, Opossum, Pigeons, Rabbits, Raccoons, Rats, Skunks, Snakes, Squirrels, Sparrows, Starlings, Turtles, Wild Boars, Wild Hogs and Woodpeckers. Professional control and removal of these species and many more are just a phone call away! Your wildlife expert has been specially trained in the control of wildlife specific to Greensboro and will take care of the problem in the most gentle and humane way possible. All wildlife experts of A All Animal Control undergo a rigorous training program for wildlife control in order to give you the most efficient and cost effective solution to your problem. Their wildlife professionals are licensed and insured for your protection and comply with all laws regarding wildlife control. A wildlife expert is just a phone call away and can often assist with your Greensboro wildlife control needs the very same day. Call us at 336-396-2108 to put an end to that annoying wildlife problem and control damage wildlife causes. By hiring an ADC, Animal Damage Control, Animal Damage Control Agent, NCPAC, Problem Animal Controller, NWCO, Nuisance Wildlife Control Operator, Wildlife Management Experts, Wildlife Management Professional. AAAC Certified Wildlife Professional or Wildlife Management Pro, you ensure a professional will be controlling, removing and will get rid of or eliminate the wildlife problem and find the best wildlife solution for the animals that are affecting you. A wild critter pest must be controlled using the proper elimination, eradication or critter capture techniques. In most cases we can relocate the wild animal and do not have to kill it. There are occasions when the animal must be exterminated by wild animal services. In such cases, we use proper extermination techniques recommended by the American Veterinary Medical Association or AVNC.